Its up, up and away with Sesame Street with a brand new DVD set to release on November 6th, 2018 from Shout Factory. All of our favourite characters from my youth and now my children, are back in this action packed DVD sure to delight children of all ages. Join the adventure as Abby’s Magical Wand is taken and the gang must travel through New York in order to find it. Children will be able to explore new cultures, new food and so much more with their favourite characters. The underlying message of kindness and making friends, is so important for our youth especially during current times. Want to re-create some more fun? 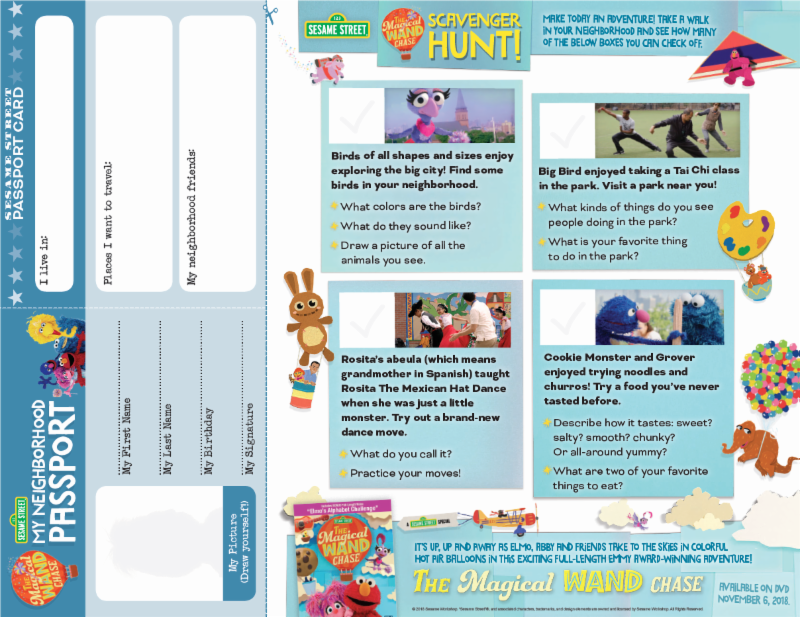 Download the printable Scavenger hunt here. 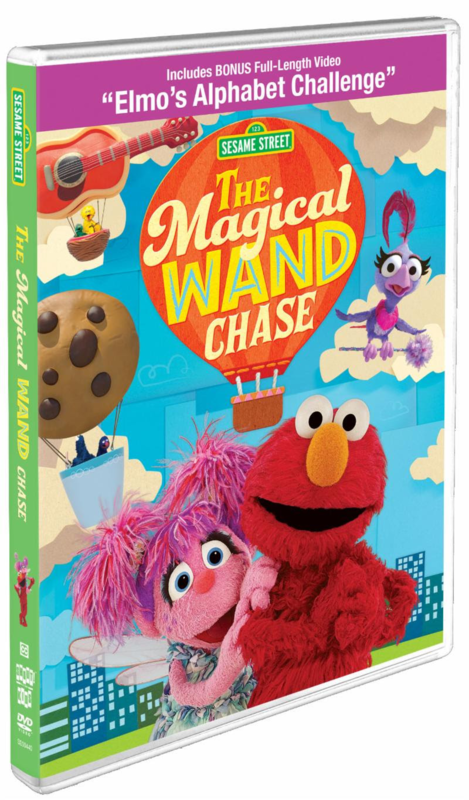 Enter to win one of two DVD copies of Sesame Street The Magical Wind Chase via the Rafflecopter form below. Good luck. Disclosure: I received a copy of this DVD in order to facilitate this review. All opinions expressed are my own. This entry was posted in giveaway, review. My niece is the biggest Sesame Street fan in my house. Thanks for hosting the giveaway. My son <3 and he loves Elmo to and Mr. Noodles on elmos world! My children are 4 and almost 2. Both of them love Sesame Street. My son dressed up as Oscar the Grouch for Halloween, my daughter dressed up as Elmo, and mama dressed up as Big Bird. 🙂 But, they pretty much love all the characters!